Home / house / Mark Your Calendars!!!! Mark you calendars for May 24th! 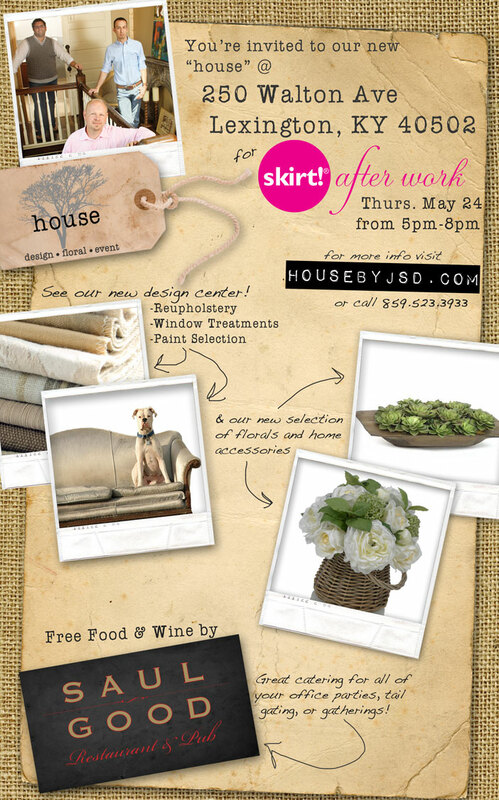 Skirt is hosting their monthly After Work Party from 5pm – 8pm at our new location!!!! AND THE EVEN BETTER NEWS! Saul Good is catering the event with free food and WINE! It’s the kick off of our Grand Opening Celebration Thursday May 24 – Saturday May 26!!! Don’t miss out!!!! More information to come!